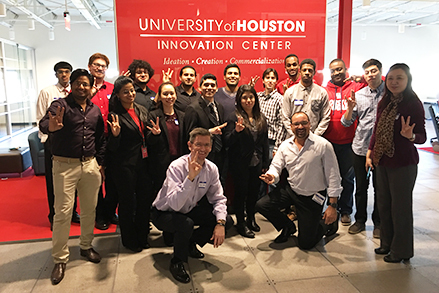 The Jukes Group was recently involved in teaching a group of Scholarship Students at a Leadership Retreat, at The University of Houston, as part of ‘Succeed in Engineering Technology Scholars’ (SETS) programme. The students were taught various aspects of Leadership from Industry experts. Dr. Jukes gave a lecture about the importance of ‘Goal Setting’ and how to turn our dreams into a reality. Way to go Cougars!